Wareham, Mass. 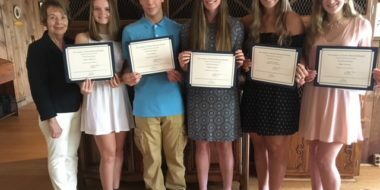 —Southcoast Health announced today that the Tobey Hospital Guild awarded $3,000 in scholarships to high school seniors from the Wareham area who will enter college in the fall to pursue a career in healthcare. Kaylie Wentworth, a graduate of Carver High School, who will study nursing at Salve Regina University. 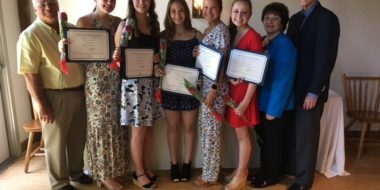 Kaylie, who volunteered at Tobey in the surgical day care unit, received the Lenard Martone Scholarship given in his memory by his wife Elizabeth. Courtney Denesha, a graduate of Bourne High School, who will enter UMass Amherst to become an occupational therapist. 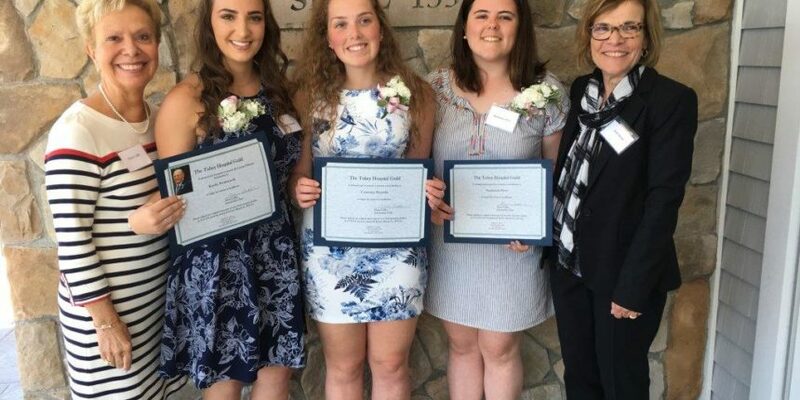 Mackenzie Drew, a graduate of Old Rochester Regional High School, who will enter Assumption College to study communication disorders to become an early intervention speech pathologist. The Tobey Hospital Guild is a non-profit organization whose purpose is to render service to Tobey Hospital, its not-for-profit subsidiaries, its patients and to assist in promoting the health and welfare of the community. 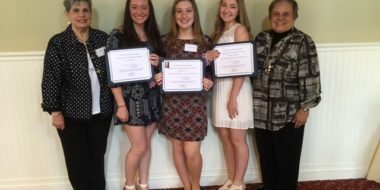 The Guild raises money throughout the year by hosting various fundraisers, and also runs the hospital gift shop with all proceeds going to Tobey Hospital. Joining the Guild is a great way to become involved in your community hospital. Members serve as ambassadors to the community on behalf of the hospital. For more information or to join, please contact Sandy, Membership Chair, at 508-748-0794.